Our military soldiers face a huge variety of danger, obstacles and unexpected situations every day. Every edge they can get is a welcomed asset and often comes in the form of our four legged friends. Military working dogs can often provide that extra intimidation factor that is just the thing that is needed in certain encounters. They make our soldiers feel more secure by knowing that a highly trained dog has searched the area and has swept through things that are potentially dangerous. 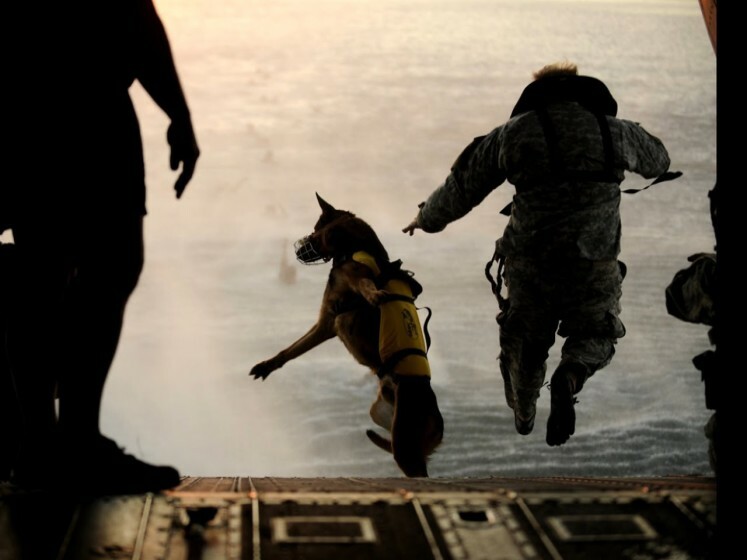 The extensive training military dogs go through include a huge variety of skill sets from jumping out of airplanes to bomb-sniffing to a variety of attack commands. Honestly, it’s worth every minute of your time, but if you are on a time crunch, jump to the 5:40 mark to see a dog training session in action! Armed with an incredible sense of smell, combined with a work ethic that cannot be compared, these determined dogs have saved countless lives across the world.